Thug, the Petersham Cat. Supervising new seed delivery and burgeoning propagation operations! 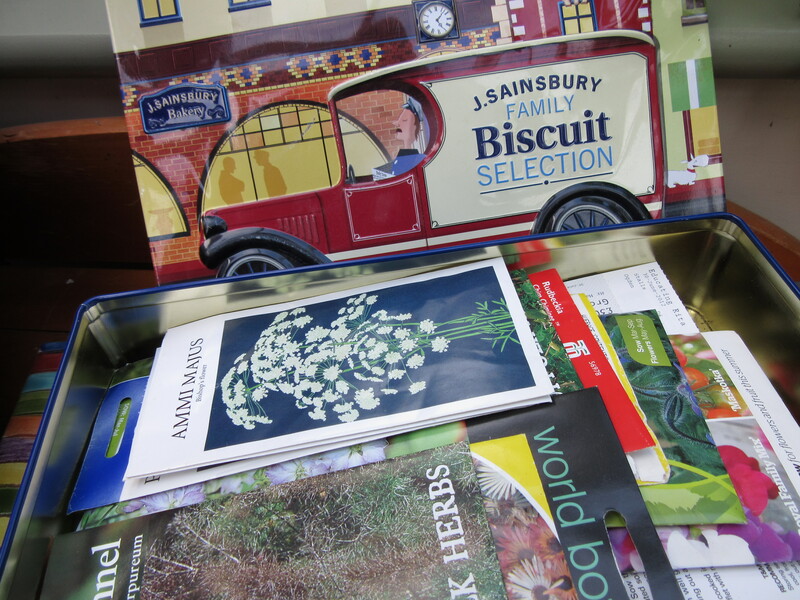 I’ve already added to my seed collection with borage (blue and white), more cosmos, more Ammi majus and the remarkable annual climber, Cobaea scandens (purple and white varieties). Sweet peas I already have though I may be tempted yet into another purchase. I’d better take a proper look at my seed tin before I commit myself to covering every possible surface in the house with seed trays and a dusting of compost.